DPRK's Letter To The White House: Will Trump Invite Kim? Will Donald Trump Invite Kim To DC? 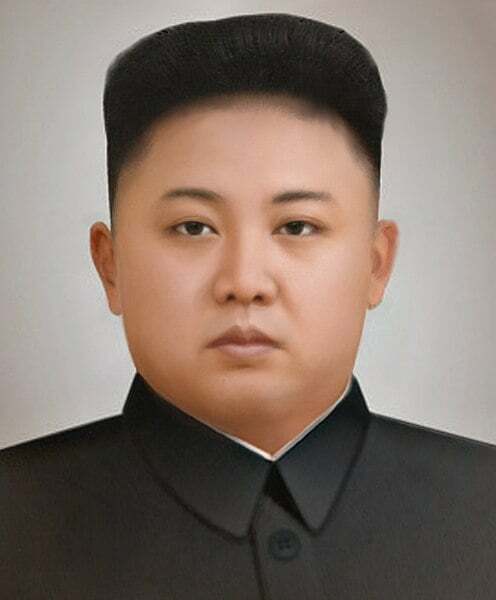 Through the ongoing mid-term elections, and amid a New York Times op-ed by an anonymous writer claiming to be part of a secretive group trying to steer President Trump, a letter from the DPRK’s Kim Jong Un has arrived at the White House to raise Donald Trump’s spirits, but will a second meeting happen, considering the efforts to scuttle the first one? Has enough progress been made from both the US and the DPRK to make such a meeting justifiable? And if so, could it feasibly occur at the White House? Will Trump Invite Kim To The White House? A letter from Kim Jong un has been sent to the White House calling for another summit between the two leaders of the two sides to continue the efforts in the peace process. The primary purpose of the letter was to request and our look to schedule another meeting with the president is the second Trump meeting likely to happen this year. Now with some insight into the current political under White House and the midterm elections the head of emerging government leaders from both sides the Korean peninsula are surely to talk again which would be the third time this year on the 18th of this month in Pyongyang. Will there be anything new that Kim Jong un NGO will bring to the table next week. So far both the U.S. and the DPR have made friendly gestures and showed a willingness to end the dilemma over the Korean peninsula. What's China's role in the whole concept and what can be expected from through an ongoing set of mid-term elections and admit a New York Times offered by an anonymous writer claiming to be part of a secretive group trying to steer President Dromm letter from the DPR case. Kim Jong un has arrived at the White House to raise Donald Trump spirits. But when the second meeting happened considering the effort to scuttle the first one has enough progress been made from both theU.S. and the DPRK. For such a meeting to be justifiable and if so could a feasible occur at the White House to discuss these issues are more unhappy happy to be joined in the studio by Mr. Shindo a senior fellow with a Pentagon institution. Harvey Dotun a senior research fellow with the Center for China and Globalization will also be joined from Boston by Professor Song Yoon Lee from the Fletcher School of Law and Diplomacy and Tufts University. That is our topic this is dialogue and the equally are so let's talk about them. Let me start with you Mr. out and a letter from Pyongyang has found his way to the White House seeking for another meeting. Can a second meeting really happen. This is not locked in yet. What do you think. I think there's a good chance it will happen because the first meeting gave both the President Trump and the chairman a chance to show off and to raise their standards especially Chairman Kim. So it's no surprise to me really that the invitation or initiation is coming from North Korea. Kim did very very well in the first meeting and I was thinking about it earlier today. And it reminded me of an episode of The Apprentice but with a twist The Twist being that the apprentice in that case was Donald Trump. And Kim was was the businessman the teacher the professor. True there's a number ofU.S. officials who have been skeptical about negotiating with Crom John Bolton a man even pumpin to some extent. Would you agree that that meeting will go ahead of schedule. A large degree of that. I think the second meeting will go ahead at some time probably later this month. So even next month over there and because both sides have this Asom the two leaders in particular I get Donald Trump has joined this and you see with Asom to meet came again to push forward to break this frustration over say over the year. There's a deadlock right now. And so we are not seeing progress are expected to progress between the two countries in discussion. So probably neither evil into the person evil until the two leaders to break ground. But as you said just some of the advisers you know Secretary of State and my code by John Bonham Zarif allas hot line conservative. They have a strong disbelief all dazed.